Angaza creates software for selling life-changing products in underserved markets. 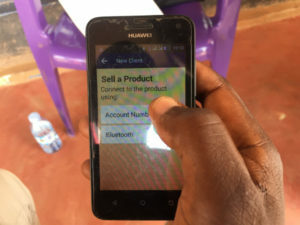 Every day, families in more than thirty countries, from Kenya to Nigeria to India, use technology developed by Angaza to buy solar home systems with “pay-as-you-go” (PAYG) financing. 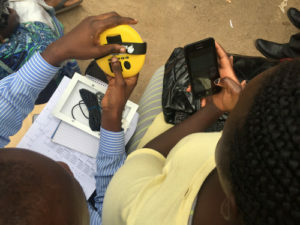 These off-grid products were designed and manufactured by an Angaza partner such as Greenlight Planet or Fosera, with Angaza collaborating to integrate PAYG functionality into the product firmware, electronics, and overall design. After the sale, a local distributor uses Angaza software to manage that family’s affordable payment plan. 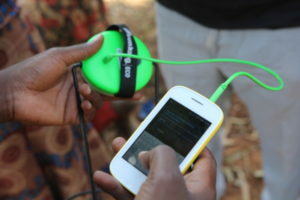 Each installment payment is processed by Angaza backend software, reactivating the solar home system by communicating with the Angaza firmware that it embeds. Intelligent connected devices make this story possible. Angaza develops the firmware, circuits, and software behind that intelligence, with a focus on communication technologies ranging from secure keycodes to GSM. We work with product partners to integrate our PAYG solutions into their device hardware, and we support their distribution customers with software tools to leverage product features and connectivity. Angaza builds software that manages solar financing for more than half a million off-grid families. As an engineering manager focused on IoT feature development, including core functionality for embedded PAYG, you will play a critical role in making that number much larger. Your primary responsibility will be the effectiveness of a cross-functional product-focused team with 3–6 engineers. This team works across the stack, from firmware up to cloud services. You will enable the team’s success by providing technical direction, helping to shape product strategy, hiring and onboarding new engineers, improving engineering process, and supporting the individual development of every person you manage. You should expect to apply your technical skill set: you will maintain a working development environment, mentor junior engineers, facilitate design reviews, provide guidance in triage or troubleshooting, be a voice of prudent engineering judgment, and do whatever else the team needs to deliver great software. You will not, however, spend most of your days writing code. Your engineering output should be fully in service of your management goals. You can read more about Angaza engineering culture on Key Values and on our own blog. We don’t expect you to check every one of these boxes! This position is full-time and on-site in our San Francisco office. Send us your contact details and résumé. Feel free to attach any extra information you think we should know. We look at every single person. We’ll get back to you shortly. Angaza is a for-profit company with offices in San Francisco and Nairobi. Our global technical team is more than two dozen people. We’ve worked at places like Kiva, Canonical, Yahoo, and Microsoft. We strive to be thoughtful, pragmatic, and collaborative. Our hiring process always includes an initial phone conversation and at least one on-site interview. Hiring for some roles may also include a small, at-your-own-pace home project. We don’t believe in gotcha logic puzzles or adversarial whiteboard exercises, and we give you specific constructive feedback wherever possible.